Hagiwara Sys-Com Co., Ltd., headquartered in Nagoya, Japan, is an industry leader in semiconductor application products since 1971. Designs, manufactures and markets highly innovative and versatile products for industrial and embedded computing. Delkin Devices, Inc. is a U.SA. based manufacturer of industrial flash memory with over 25 years expertise in customized solid state drives & data storage solutions. Delkin is specialized in rugged controlled storage products with shock and vibration specifications and industrial temperature ranges for extreme environments. Maximus Technology is an innovated high-tech company aiming at providing global customers with advanced flash storage solutions. 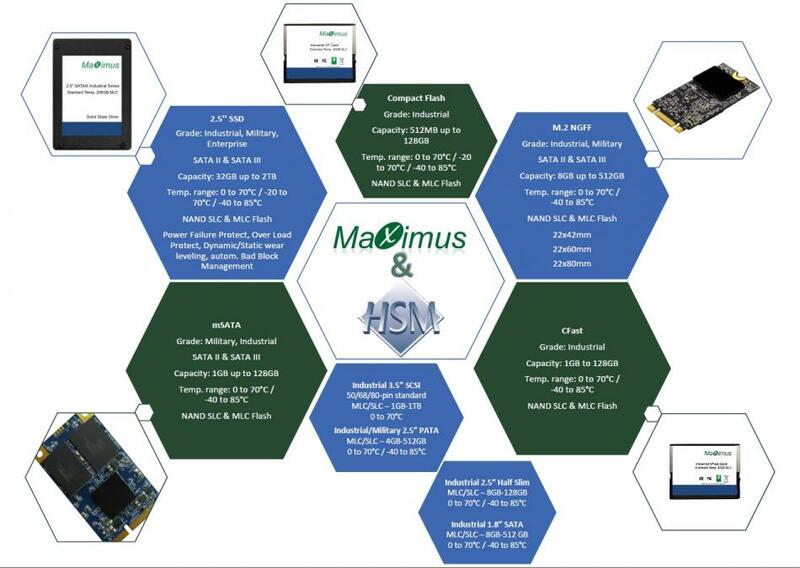 Headquartered in Shenzhen city, Maximus Technology is highly experienced in SSD area, and has successfully developed and manufactured a series of advanced SSD products with excellent reliability and performance to meet the global markets. Interested in our SSD solutions? Want to know more? Please send your specifications. We look forward to your inquiry. Please ask for further solutions.